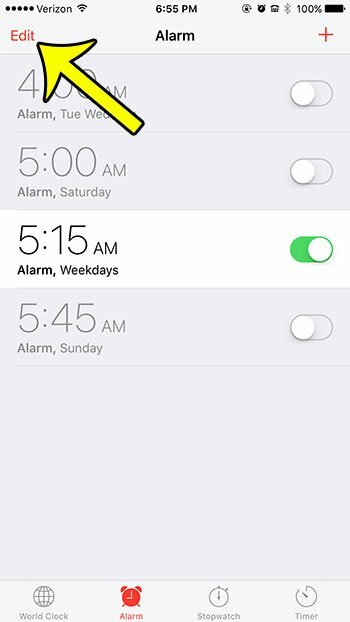 The iPhone makes a great alarm clock, largely because you will often have it near you whether at home or traveling. 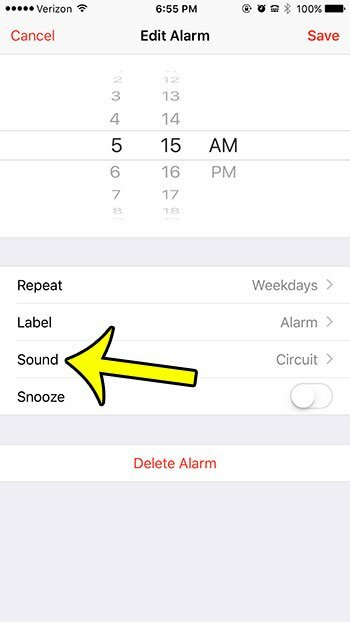 But the alarm sound can be loud, so you might be looking to set an iPhone alarm that only vibrates. Fortunately this is an option that is available to you as an iPhone owner, although the method for setting it up might be less than obvious. 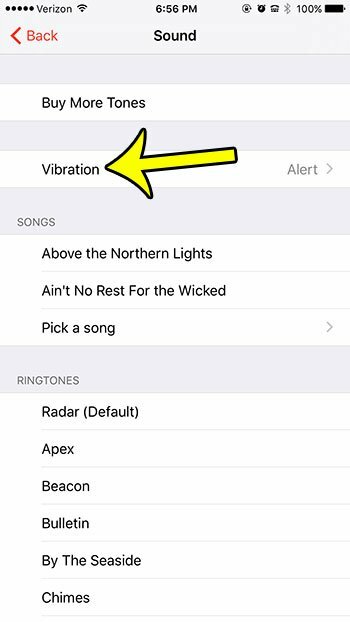 Our guide below will show you how to set up a vibrate-only iPhone alarm, without having to worry about muting your device. Step 1: Tap the Clock icon. Step 2: Tap the Alarm option at the bottom of the screen. Step 3: Tap the Edit button at the top-left corner of the screen. Step 4: Select the iPhone alarm that you want to vibrate only. Step 5: Tap the Sound button. Step 6: Scroll all the way to the bottom of the screen and select the None option. Step 7: Scroll all the way back to the top of the screen and select the Vibration option. You can then choose the type of vibration that you would like to use for your iPhone alarm that will now only vibrate. 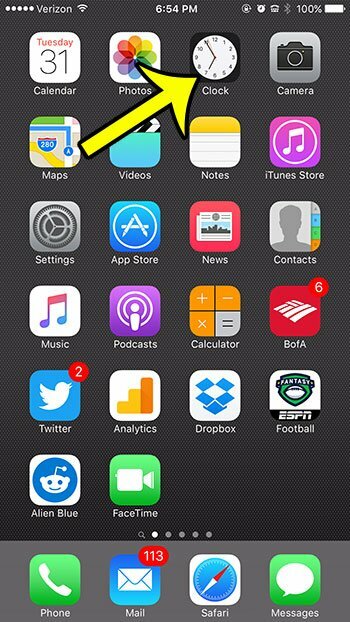 Select Alarm at the bottom of the screen. Touch Edit at the top-left corner of the screen. Select the alarm that you wish to modify. Scroll to the bottom of the screen and select None. Scroll to the top and select Vibration. Specify the type of vibration that you wish to use. 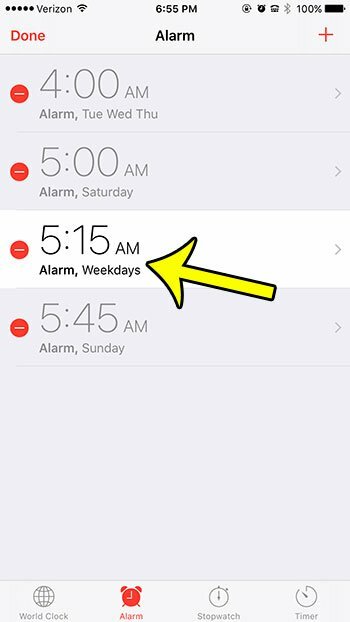 Click here if you would like to learn more about editing and creating alarms on your iPhone.